Just in time for Christmas, (and only just), I am now selling art prints of a range of my artworks. The prints feature cats, (of course), as well as a couple of dog designs, (yes, I like dogs too), and also one design with dinosaurs. 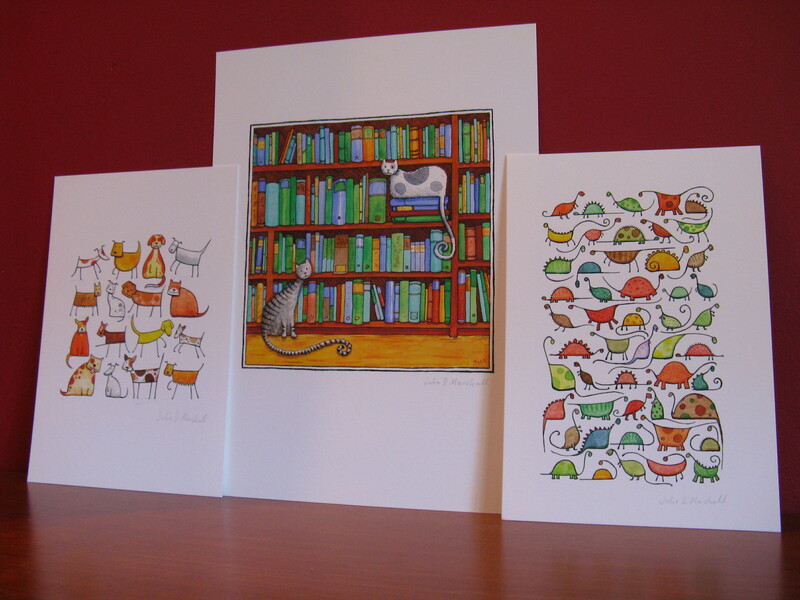 At the moment the prints are only available from one outlet, (Alice’s Bookshop, 629 Rathdowne St, North Carlton). In the new year I hope to expand both the range of prints available, and my network of stockists. The photo above does not do the print justice, (sorry, it is an extremely gloomy day in Melbourne today). In reality the colours are vibrant and crisp. They are printed on acid-free paper with archival inks, and I have signed each one.